The Wilford Brimley Clip Of The Day! Treasured actor Wilford Brimley is basically known for two things: Oatmeal and Diabetes. Those are both terrible in their own right, but what I will always remember Mr. Brimley for is the amazing tirade he threw in John Carpenter’s The Thing. Damn, he went off! Swinging that axe like a lumberjack and shooting that pistol like he was in the Old Wild West. Not a bad pistol throw at the end out of desperation either. I love this movie and every time this scene comes up, I can’t help but laugh. I also can’t help but feel very sad though as well……and do you know why? Because in this movie, Wilford Brimley was CLEAN SHAVEN! Oh the horror…..and a travesty for sure. Nowhere in sight is his iconic flavor savor that would later go on to have him compared to cats until the day he died. 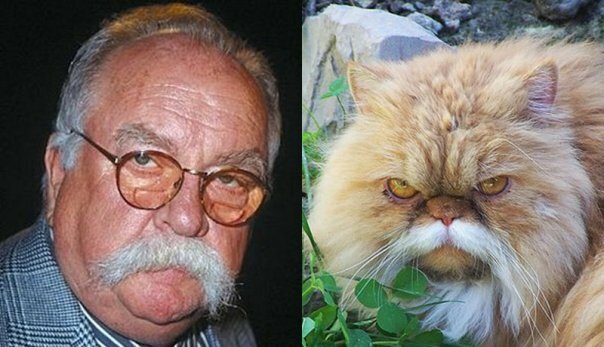 RIP Wilford Brimley. Oh….he’s not dead? Hooray!!! Let’s celebrate by looking at one of those cat look-a-like pictures then!